Worldwide Business Team, Inc., (“Worldwide”) a company that brokers, sells and distributes films; multimedia; and other visual and performance content, throughout Asia, has entered into an agreement with the Asian American Film Lab (“Film Lab”) to distribute certain of Film Lab’s entertainment in Asia. The Film Lab began in 1998 as collaborative of New York-based filmmakers whose goals were to hone their craft and to share their knowledge, experience and resources. The company is now a not for profit corporation dedicated to the promotion and support of diversity in media. 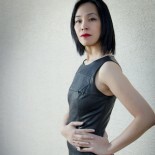 The Film Lab’s President, Jennifer Betit Yen, created AAFL TV in August 2013 to address an explosion of interest in diverse, original creative content along with a corresponding rising level of dissatisfaction with mainstream programming for a lack of diversity and/or perpetuation of racial stereotypes. AAFL TV’s mission is to provide innovative, contemporary, original content by, for and about people of diverse backgrounds – content that accurately reflects our heterogeneous country both in front of and behind the camera. One of the ideas behind inviting submissions from all over the globe is to empower creatives by providing a platform for diverse filmmakers to present unique and independent content and to be part of something bigger, showing the world that diverse talent is not only present, but powerful, with a voice and a stage on which to see and hear it. Worldwide Business Team is a team of dedicated top-tier professionals. The managing members, corporate partners, and board of advisors have been carefully selected for expertise in their chosen fields. Throughout the years, they have built long-lasting partnerships within the motion picture industry, finance, production, contract negotiation, and film fund formation, both in the United States and in China and Asia. The team has expertise and experience in every aspect of creating, running, monitoring, investing, and compliance of film funds, as well as all aspects of film development and production. Worldwide’s abilities run the gamut of activities essential to creating, funding, producing and distributing diverse content both domestically, and throughout the world. The Film Lab’s programming includes television, film and online production, filmmaking workshops with industry professionals, educational and outreach panels and seminars, screenwriting contests, and filmmaking competitions, including the annual 72 Hour Film Shootout (the “Shootout”). This annual competition, now in its eleventh year, has inspired hundreds of filmmakers by helping nascent talent take brave steps towards a filmmaking career. 2015 marks the 11th year Asian CineVision will partner with FilmLab to promote the Shootout at the 37th annual Asian American International Film Festival (“AAIFF”). AAIFF is New York’s leading festival for independent Asian and Asian American film and video, and the first and longest-running U.S. festival of its kind. It will be the first time the winning Shootout films will screen at film festivals in both New York City and Los Angeles. As an integral part of AAIFF, the Shootout celebrates the creativity and genius of the directors, their casts and crews as they share stories by, about and for Asian Americans and other filmmakers of color with the world. AAIFF has played a vital role in discovering and nurturing such acclaimed talent as Wayne Wang (THE JOY LUCK CLUB), Ang Lee (CROUCHING TIGER, HIDDEN DRAGON, BROKEBACK MOUNTAIN), Mira Nair (THE NAMESAKE), Zhang Yimou (HOUSE OF FLYING DAGGERS), Christine Choy (WHO KILLED VINCENT CHIN? ), Steven Okazaki (THE MUSHROOM CLUB), Jessica Yu (PING PONG PLAYA), and Justin Lin (FAST FIVE). 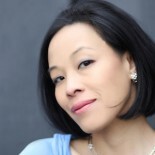 This entry was posted on June 1, 2015 by Lia Chang in Asian American Artists, Entertainment, Film, New York, Non profit, Television and tagged (STAR), 72 Hour Shootout, a television series, AAFL TV, Asian American Directors, Asian American Film Lab, Asian American Filmmakers, Asian Pacific Heritage Month, ASIAN-AMERICAN ACTORS, Backstage Pass with Lia Chang, Crossings TV, Film Lab, Film Lab Presents, Jennifer Betit Yen, Lia Chang, Support The ARtS Initiative, WNYC/WQXR Radio, Worldwide Business Team, Youn Jung Kim.